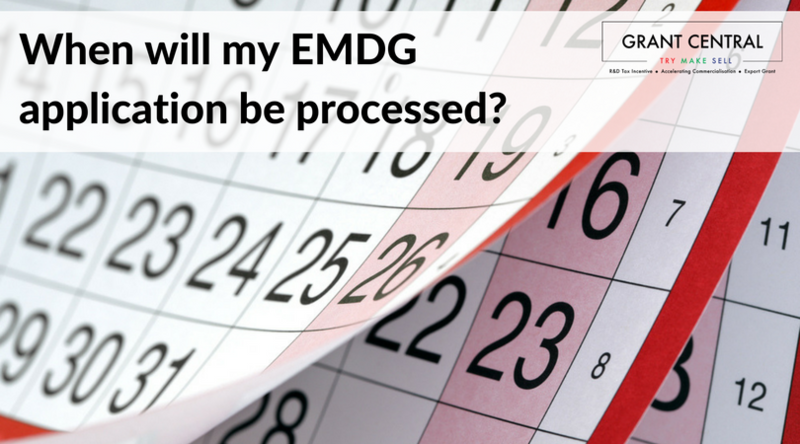 EMDG Applications: When will they be processed? The figures that I will refer to in this post refer to EMDG applications for the 2015/16 financial year received during the period from 1 July 2016 to 28 February 2017. Austrade received a total of 3,537 applications which was an increase of 216 or 6.5% over the applications received for the 2014/15 financial year. Of these applications, 1,167 (33%) were lodged during the period July 2016 to October 2016; 1,486 (42%) were lodged in November 2016; 212 (6%) during December 2016 and January 2017; and 672 (19%) were lodged in February 2017. Anyone can lodge an application before the end of November, but the ability to lodge applications after that date is restricted to consultants who are Austrade’s QIP (Quality Incentive Program) list. As I write this post in April 2017, applications lodged in December 2016 are being allocated an audit time in May 2017. It is obviously essential based on these numbers, to ensure that future applications are lodged as early as possible and certainly before the end of October. Another point to bear in mind is that for the 2015/16 application year, grants up to $40,000 are paid in full. For applicants that are entitled to receive more than this, a calculation is made in June to determine how much the second tranche payment will be. What this means is that if there are more successful applications then there are funds available, the second payment will be prorated to ensure that everyone with a grant in excess of $40,000 is equally adjusted. Given that the number of applications increased and the expected second tranche payment percentage will decrease from the 72.66% paid for 14/15 applications, there is a chance that Austrade will reduce the $40,000 first payment figure to a smaller figure for 16/17 applications. This first payment figure has been as low as $27,500 in a previous application period. Another point to note is the process that is followed after you lodge an application. Austrade will send you a formal acknowledgement of receipt of the application. If you are a first time applicant, or if you have been a previous applicant and there have been substantial changes to your application when compared to previous applications; then you will more than likely be allocated for an audit assessment. Do not be alarmed if you do not hear from Austrade immediately about your application. While no news may not necessarily be good news in this case, your file has not been lost or mislaid! The Austrade auditor, who has been allocated your file, will process the applications in the order that they have been received.